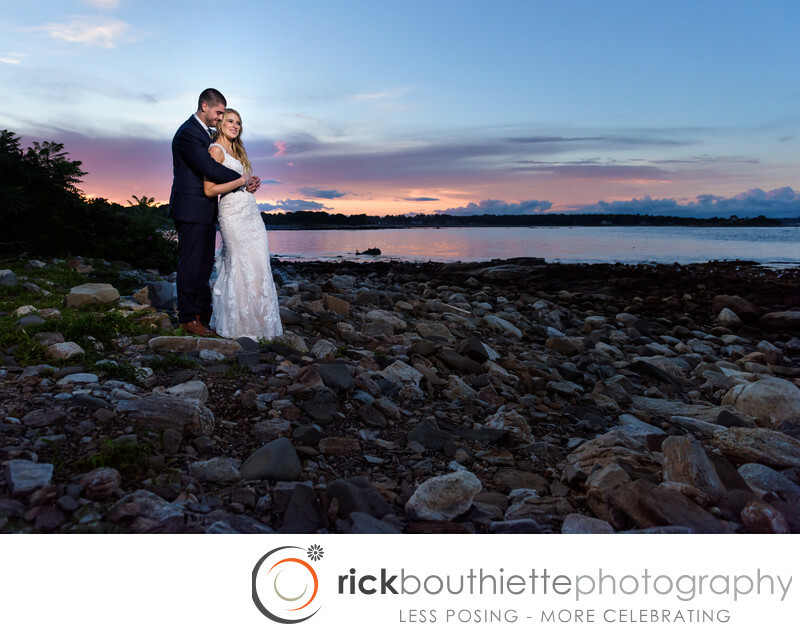 Jeff + Lauren's wedding at the Seacoast Science Center couldn't have been more perfect. What started out as a rainy day transformed into a picture perfect setting for an afternoon wedding along the New Hampshire seacoast in Rye. By the time guests arrived for their ceremony the skies were clearing and became dramatic. Just after the ceremony there was a rainbow and then the sunset was spectacular so we had to take advantage of that!